Since 2002 plate colours have been black on white for private and black on yellow for commercial vehicles. 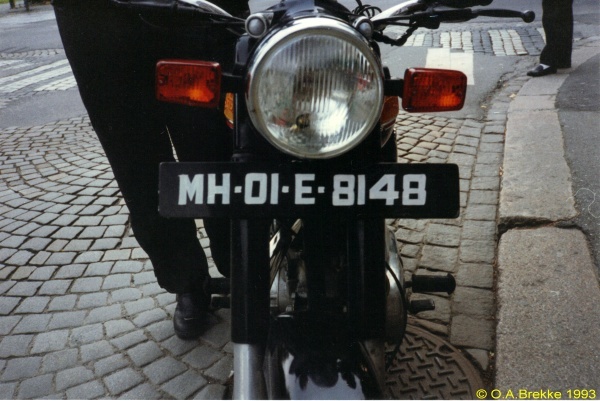 MH-01-E-8148 Normal series since 1989. Motorcycle front plate. 1989-2002 plate style. MH = Maharashtra. 01 = Mumbai (Bombay) central.